Jeg fant oppskrift på en spennende lag på lag påske-muffins hos pickles. Et mektig lite måltid viste det seg å være, med god og ikke minst populær hos ektefellen. *Have your cake and eat it too! For sweet-thooths I can recommend this easter-muffin recipe found on the blog pickles. 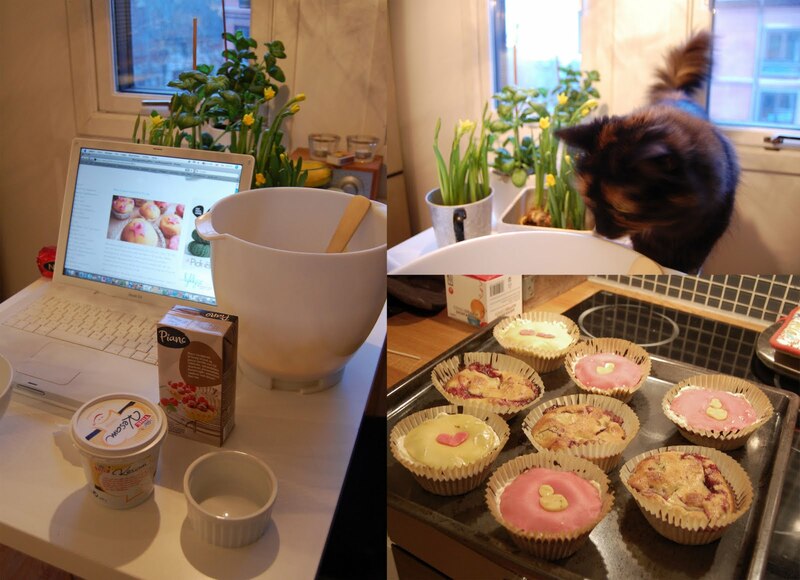 Fun to make, good to eat and not suprisingly the cookiedough-bowl was popular with our curious cat Miss Smilla.